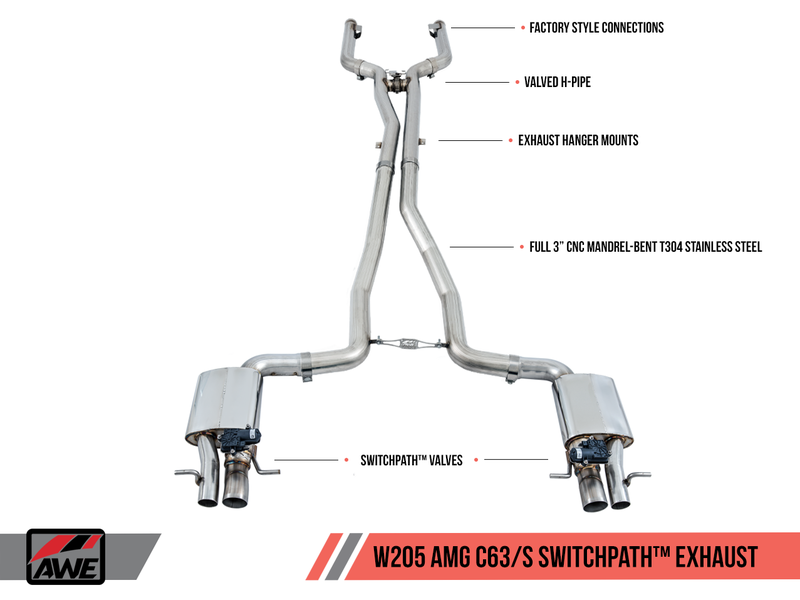 AWE Tuning has released their Exhaust Suit available for the W205 Chassis C-Class. 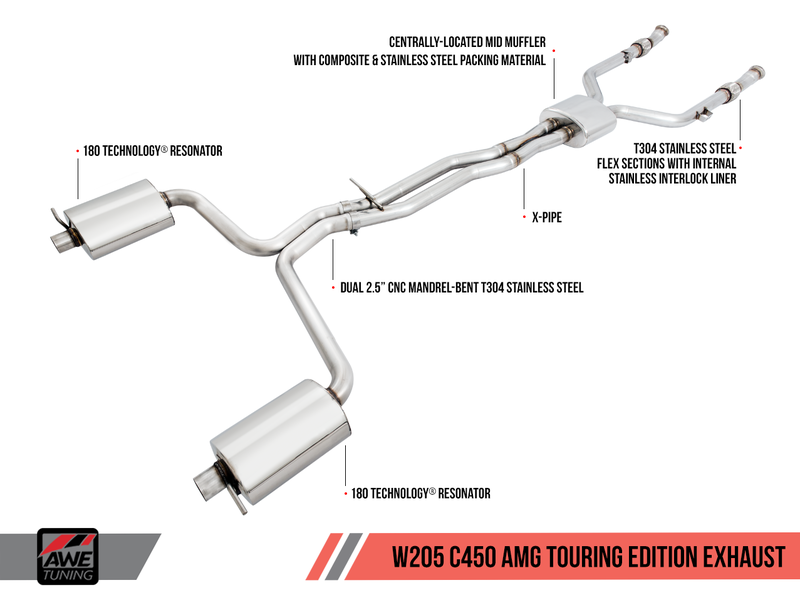 AWE Tuning has coverage for the C300, C400, C450, C43, C63 and C63S. 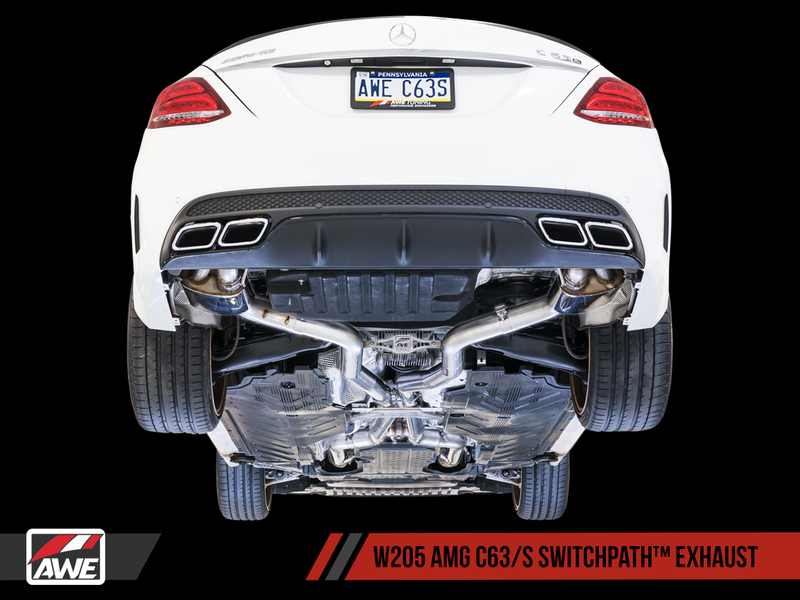 And for the C63/C63S, AWE offers their Track Edition, or their Switchpath Exhaust system, which allows owners to adjust the volume of their exhaust at the push of a button.